HP Omen 15 laptop now comes in an optional 240Hz display version. The Omen X Emperium 65 is a 64.5-inch display with 144 Hz refresh rate, Nvidia G-SYNC HDR support and a soundbar. While CES 2019 is yet to begin, announcements from various manufacturers have started pouring in. 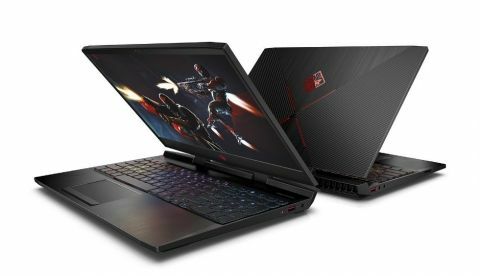 HP has also announced a slew of new devices ahead of the event and the most notable ones from the lot include the HP Omen 15, which is supposedly the world’s first gaming laptop with a 240Hz display. The company also debuted its OMEN X Emperium 65-Inch G-Sync HDR monitor that features 144Hz refresh rate and comes equipped with a soundbar. HP also announced new HP Pavilion displays, EliteBook x360 830 G5, refreshed OMEN Obelisk desktop and more. The HP Omen 15 laptop has been announced in a 240Hz display panel option. The new device comes with NVIDIA GeForce RTX 20-series GPUs and an optional 802.11ax Wi-Fi adapter. The laptop features a 15.6-inch display and also comes in display options of 144hz 1080p, 60Hz 4k, or 60Hz 1080p and NVIDIA G-SYNC technology on select configurations. 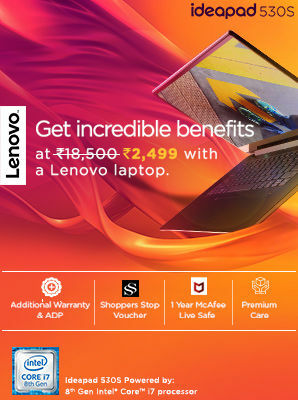 The refreshed versions of the laptop are expected to be available in the US from February at a starting price of $1,369.99 (Rs 95,411 approx) and the device’s optional 240Hz display version is expected to be made available in July. Launched under HP’s Big Format Gaming Display (BFGD) initiative, the Omen X Emperium 65 comes with Nvidia G-SYNC HDR support and a soundbar. The device is equipped with a 64.5-inch display with 144 Hz refresh rate and comes with a bundled OMEN X Emperium Soundbar that has 120W of output power. The soundbar comes with a three way stereo crossover system, Low Frequency Array (LOFAR) technology and Vibration Reduction Technology (VRT), which are said to negate the need for a dedicated subwoofer. The OMEN X Emperium 65 with Soundbar is expected to hit the shelves in March in Asia-Pacific at a starting price of $4,999 (Rs 3.48 lakhs approx). The newest version of the OMEN Obelisk Desktop will now come with up to 64GB of HyperX Memory, and with options of up to NVIDIA GeForce RTX 2080 Ti graphic card. The company is also including support for up to 9th Gen Intel Core i9-9900K CPU on the device with dual SSD w/ RAID0, and the liquid cooling. 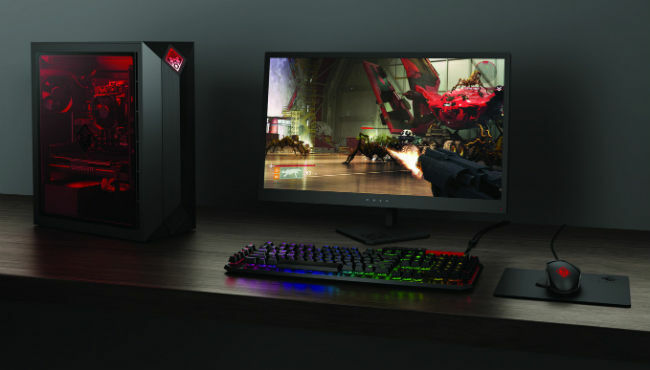 The new OMEN Obelisk Desktop is expected to be available in March for a starting price of $2,249.99 (Rs 1.57 lakh approx). HP has also announced a new line of its Pavillion displays. There is now the HP Pavilion 37 Quantum Dot, which the company claims is the world’s first Quantum Dot on glass display, which is also capable of displaying over ‘a billion viewable colours.’ The company also announced a Full HD version of the 27-inch HP Pavilion that features built-in B&O audio and a pop-up privacy camera, along with the QHD HP Pavilion 32. The company also announced two new accessories, the HP Envy USB-C Hub that enables pass-through charging with two USB-A charging ports and features an HDMI 2.0 port with 4K resolution support. The other accessory is the HP 15.6 Odyssey Backpack that comes in three geometric color patterns. The HP Pavilion 27 FHD Display and the Pavilion 27 Quantum Dot Display are expected to be available in March for $329 (RS Rs 23,000 approx) and $399 (Rs Rs 27,800 approx) respectively. The HP Pavilion 32 QHD Display is expected to be available in April in Asia-Pacific at starting at $379.99 (Rs 26,535 approx). The HP 15.6 Odyssey Backpack is expected to be available in March starting at $69.99 (Rs 4,890 approx) and the HP Envy USB-C Hub is expected to be available in March starting at $79.99 (Rs 5,585 approx). With a focus and privacy and security, HP announced its new Elite lineup of devices featuring HP Sure View privacy screen. First up is the HP EliteBook x360 830 G5, which is said to feature the brightest display on a business convertible. The company also announced the HP EliteDisplay E243p Sure View Monitor, which is claimed to be the world’s first display with an integrated privacy screen. In the All In One space, HP announced the EliteOne 800 AiO G5 that along with the privacy screen is equipped with a discrete graphics card. The HP EliteDisplay E243p is expected to be shipped in February for $379.99 (Rs 26,535 approx) and while there’s no word on the pricing of the HP EliteBook x360 830 G5 and the HP EliteOne 800 AiO G5, they both could be made available in March and June respectively. Their pricing will be announced closer to availability.